In this brief commentary, I first review the Brighton Declaration provisions that reflect the member states’ attempt to rein in the power of Strasbourg judges. I then introduce and defend a proposal to condition access to the new Protocol’s “benefits” to those member states that are adequately shouldering the “burdens” of more deeply embedding the Convention and ECtHR case law in their national legal orders. I conclude by identifying alternative ways to implement this proposal and discuss their potential benefits and drawbacks. Earlier this week, the Grand Chamber of the Court delivered its judgment in the case of Kuric v. Slovenia and found violations of Articles 8, 13 and 14 ECHR. The Court found that Slovenia had violated the rights of a group of residents of Slovenia, by depriving them of their status as permanent residents in the months following Slovenia's declaration of independence in the early 1990s. 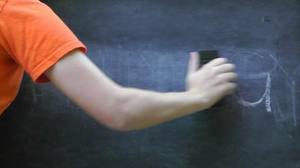 This measure affected tens of thousands of people which were know as the ''erased'' people. In the Court's view, the measures had disportionately affected Roma and other minorities. 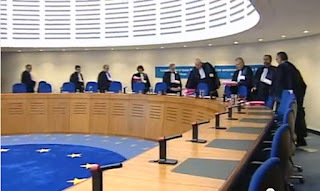 The original Chamber judgment (of 2010) in the same case also found violations of the Convention, but the Grand Chamber went even further by finding a violation of the ECHR's non-discrimination provision (Article 14) in conjunction with the right to privacy (Article 8). Interestingly, this judgment is also a pilot judgment even though the number of similar pending applications before the court is not huge. The Court pointed, however, at the potential influx of cases and indicated that Slovenia should set up a national compensation scheme within a year. In the meantime, the Court decided to adjourn all similar applications. Click here for the positive assessment of the Open Society Justice Initiative, which submitted a third party intervention in the case. It calls the judgment "an important milestone in strengthening international norms against statelessness." The Court's press release can be found here. 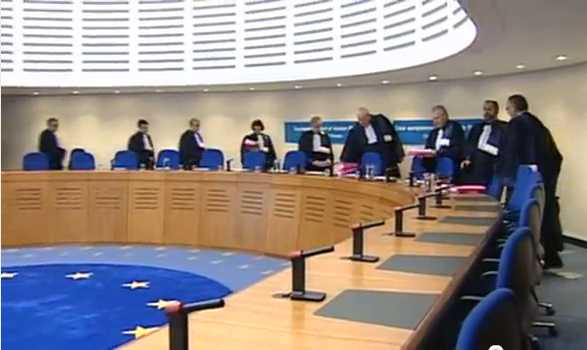 Yesterday and today, the Parliamentary Assembly elected five new judges to the European Court of Human Rights. Yesterday, the new Swedish judge was elected: Helena Jäderblom. She is currently a Justice at the Supreme Administrative Court. Today, the four others were elected. For the United Kingdom, Paul Mahoney was elected, currently a member of the board of appeals of the European Space Agency, but much more known probably as one of the European Court of Human Rights' former registrars (2001-2005). For the Netherlands Johannes Silvis was elected, Advocate-General at the Supreme Court of the Netherlands. In respect of the Czech Republic, the new judge will be Aleš Pejchal, a lawyer who represented several applicants before the Court and is currently the vice-president of the Czech Bar Association. Finally, the new Polish judge will be Krzysztof Wojtyczek, professor at Jagiellonian University and senior legal advisor at the Constitutional Court of Poland. Congratulations to all! One may note from the voting results that some judges were elected by extremely small margins of just one or two votes (in the cases of Poland and the Netherlands respectively). More notable is that elections in respect of several other countries have been delayed. As a progress report of the Bureau of the Parliamentary Assembly of last Monday shows, the procedures for Bosnia and Herzegovina and for the Russian Federation were suspended after one candidate for each withdrew. The authorities of both countries were invited to nominate a new third candidate. Furthermore, the sub-committee of the Assembly responsible for interviewing the candidates rejected the list of candidates for Croatia. It is not clear from the progress report on which basis this happened. To be continued! This week the Court launched a new version of the what is probably its key online resource: the HUDOC case-law database, which includes judgments and decisions of the European Court of Human Rights, decisions and reports of the former European Commission of Human Rights and resolutions of the Committee of Ministers. The old version had, although it was still much more user-friendly than most other databases of human rights institutions, become unwieldy by the large number of results that most searches produced. The main asset of this new version is the very easy way through which search results can be narrowed down through filters, which include country, language, level of importance, Convention article, whether a violation was found or not, but even which section of the Court decided in the case or which judges were involved. As in the past, the search engine works in both English and French. For those most accustomed to the standard search functions of the old HUDOC, including searching by application number, I would recommend to click on the option 'Advanced Search' in the upper right corner. The Court attaches great importance to the effective dissemination of its case-law and we believe that this new version of HUDOC will help legal professionals throughout the Council of Europe States to search the Court’s case-law more rapidly and more efficiently. This makes a major contribution to better domestic implementation of theConvention. HUDOC, after an extensive and ongoing translation effort in the past few years, now includes over 1500 translations of key judgments in 21 languages. These are now also easily to be found through the new interface - one can simply filter the search results by language (in the menu on the left). An online manual and video tutorials will be released in the coming weeks. Thanks to Cyprus, Denmark, Germany and Norway who provided the funds for this new version of HUDOC. Enjoy discovering all the new possibilities! The special account is part of the follow-up to the High Level Conference on the Future of the European Court of Human Rights held in Brighton in April 2012 and the contributions will essentially be used to recruit lawyers to deal with the Court’s backlog of priority cases. In a joint statement in Strasbourg today the Council of Europe’s Secretary General Thorbjørn Jagland and the Court’s President Sir Nicolas Bratza said: “At the High Level Conference in Brighton a number of States indicated their willingness to provide additional financial support to the Court to assist it with its backlog of cases. 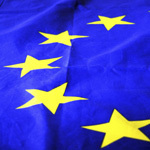 The contributions paid into this account will be used where they will have the most effect, that is on the cases which have the most impact in terms of identifying and correcting serious human rights abuses throughout the Council of Europe countries and particularly where the alleged victims have been waiting too long for a decision”. 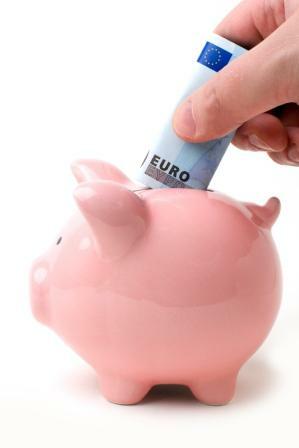 The aim of the fund is therefore to provide additional resources to eliminate cases at the top of the priority queue. At the moment, some 2,000 priority applications have been pending for more than one year without having been communicated1 to the relevant Government for observations. A further 600 applications were communicated to the Government more than two years ago and are still pending before the Court. Human rights and the environment have become increasingly interconnected. This updated manual seeks to contribute to a better understanding of this relationship by taking into account the new pertinent case law of the European Court of Human Rights. While the European Convention on Human Rights does not guarantee a specific right to a healthy and sound environment, the general standards deriving from it may nonetheless also apply to environmental matters. The European Court of Human Rights regularly examines complaints in which individuals argue that a breach of their Convention rights is the result of adverse environmental factors. This manual also takes account of the relevant decisions of the European Committee of Social Rights which has interpreted the right to protection of health under the European Social Charter as including a right to a healthy environment. Examples of good national practices have been compiled on the basis of the contributions of several member states and included in an appendix to the manual. The aim is to present the emerging principles on environmental protection in a systematic and accessible way. A joint informal body of MEPs and Council of Europe parliamentarians has welcomed the prospect of talks resuming on EU accession to the European Convention on Human Rights (ECHR). Last week the Committee of Ministers of the Council of Europe decided to pursue negotiations with the EU with a view to finalising the legal instruments setting out the modalities of accession. The high-level political negotiations stalled in the Autumn of 2011 after the completion of most of the technical work on accession. The two co-chairs of the Joint Informal Body, Pietro Marcenaro and Carlo Casini, said it was “of the utmost importance” that these negotiations reach a speedy conclusion and that the momentum towards an agreement is not lost. The two co-chairs recalled that agreement had already been reached on arrangements to ensure the European Parliament’s participation in the sittings of the Parliamentary Assembly when the latter elects judges to the European Court of Human Rights. 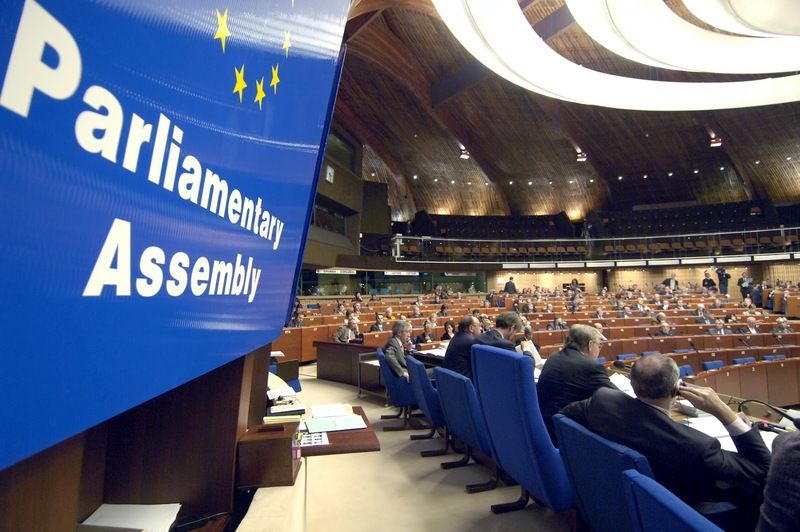 The Joint Informal Body, which brings together members of the Parliamentary Assembly of the Council of Europe (PACE) and members of the European Parliament, was holding its third meeting in Paris. It was created in 2011. This is the first book-length study of the Court’s jurisprudence in respect of sexual orientation. 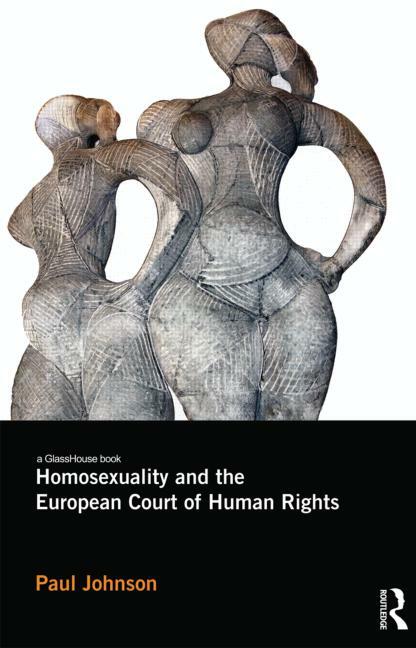 It offers a socio-legal analysis of the substantial number of decisions and judgments of the Strasbourg organs on the wide range of complaints brought by gay men and lesbians under the European Convention on Human Rights. Providing a systematic analysis of Strasbourg case law since 1955 and examining decades of decisions that have hitherto remained obscure, the book considers the evolution of the Court’s interpretation of the Convention and how this has fashioned lesbian and gay rights in Europe. Going beyond doctrinal analysis by employing a nuanced sociological consideration of Strasbourg jurisprudence, Paul Johnson shows how the Court is a site at which homosexuality is both socially constructed and regulated. He argues that although the Convention is conceived as a ‘living instrument’ to be interpreted ‘in the light of present-day conditions’ the Court’s judgments have frequently forged and advanced new social conditions in respect of homosexuality. Johnson argues that the Court’s jurisprudence has an extra-legal importance because it provides an authoritative and powerful discursive resource that can be mobilized by lesbians and gay men to challenge homophobic and heteronormative social relations in contemporary societies. As such, the book considers how the Court’s interpretation of the Convention might be evolved in the future to better protect lesbian and gay rights and lives. The book will be launched on Thursday 1 November at 7pm in bookshop Gay's the Word in London. The author will introduce the book, followed by a discussion. People interested in joining can send an email to paul.johnson at york.ac.uk . Congratulations, Paul! As MultiRights Blog reports, the negotiations on the European Union's accession to the ECHR seem to have reached a new phase. Last week, the Council of Europe's Committee of Minister instructed the Steering Committee for Human Rights to pursue negotations with the EU in order to finalise the agreement. This, the Committee indicated, should be done without delay. The decisions of the Committee of Ministers can be found here. Even though most people will use the HUDOC database these days to find cases, the sheer amount of output of the Strasbourg Court means that authoritative selections of case-law remain very valuable. 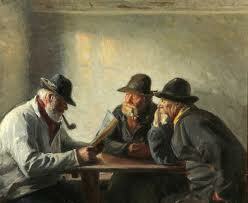 The Court's own Reports of Judgments and Decisions are the most important source in that respect. Recently, the Court has changed its policy regarding which judgments and decisions it will include in those reports. It will concentrate even more on only the most important decisions and judgments. The jurisconsult of the Court - the person responsible for case-law monitoring and preventing case-law conflicts - has made what the Court calls "a more fine-tuned selection." for 2007-2011 as well as for the first three months of 2012. The lists of selected cases can be found on this special page of the Court's website. It shows, for example, that in the first few months of this year, in the Court's own eyes the most important cases were: Stanev, Von Hannover, Sitaropoulos and Others, Hirsi Jamaa and Others, Konstantin Markin, Aksu, and Austin and Others. The European Court of Human Rights is a constituted judicial body, established by international treaty among the member States of the Council of Europe. Yet it can hardly be described as a static creature of the Parties. The Court has undergone dramatic constitutional change since its inception, resulting in an organization significantly more autonomous, independent, and robust in its maturity. Certain important changes have been achieved through formal amendment by the Parties. At the same time, however, the constitution of the ECtHR has undergone a quieter, informal kind of development – through the Court’s own practice in the discharge of its normal functions. Change of this latter type may be called constitutional transformation, by contrast to formal constitutional amendment. This paper is about the transformative effect of the Court’s approach to the interpretation of its constituent instrument, the ECHR. More specifically, the focus is on its approach to one particular technique of interpretation, codified at VCLT 31(3)(c) (providing for the consideration of external sources of international law). On the one hand, as is often recognized, the Court relies on the technique to ground a dramatic and evolutive mode of treaty interpretation – expanding the substantive rights of the Convention in light of sources external to it. Yet on the other hand, I want to suggest, the Court gives 31(3)(c) itself an astonishingly broad construction, to justify considering an extraordinary array of external sources – thereby expanding its own material competence to develop the Convention on the basis of developments outside of the Convention. This latter dimension of the Court’s interpretive approach, I argue, has brought about a genuine constitutional transformation. * Michael Duttwiler, 'Authority, control and jurisdiction in the extraterritorial application of the European Convention on Human Rights'. * Vladislava Stoyanova, 'Dancing on the borders of Article 4: human trafficking and the European Court of Human Rights in the Rantsev case'. A number of new academic articles on the European Convention have been published in the last few months. First, the International Journal on Minority and Group Rights includes the article 'The Strasbourg Court and minority groups: shooting in the dark or a new interpretive ethos?' by G. Pentassuglia (vol. 19, no. 1, 2012, pp.1-23). Secondly, International Legal Materials features an introductory note to European Court of Human Rights (GC): Al-Jedda v. United Kingdom and Al-Skeini & Others v. United Kingdom, by A. Pradhan (vol. 50, no. 6, 2011, pp. 947-1050). * W. Smith, 'Europe to the rescue: the killing of journalists in Russia and the European Court of Human Rights', pp.493-528. * D. Ziegenfuss, 'Zingari or Italiani? Discrimination against Roma in Italy and the European Court of Human Rights', pp. 555-586. We write to express concern about serious deficiencies in the selection procedure used to select candidates from the Russian Federation for election to the European Court of Human Rights. We believe the procedure used falls far short of the most recent set of Guidelines adopted by the Committee of Ministers on the selection of candidates for the post of judge at the European Court of Human Rights (CM(2012)40 final), adopted on March 29, 2012. We understand that lists of candidates for the European Court of Human Rights submitted by Council of Europe member states are currently before your sub-committee for consideration. Human Rights Watch respectfully urges the sub-committee to return the list of applicants to the government of the Russian Federation to allow for a selection process that is fair, transparent, and in full accordance with the Committee of Minister’s guidelines. 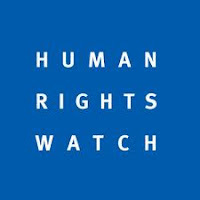 As you may know, Human Rights Watch is an independent, non-partisan, international nongovernmental organization that researches and advocates on human rights issues worldwide. Human Rights Watch has maintained a presence in Moscow since 1991. In February 2012, the Russian Federation forwarded a list of three candidates for election to the Court, two men and one woman. Although the Committee of Minister’s guidelines were adopted in March, as you know, they build on previous standards set out for states by the Parliamentary Assembly in the context of its responsibility for electing the judges. Human Rights Watch was very disappointed to learn the extent to which the selection process used by the Russian Federation fell short of the standards as have been effectively codified in the Committee of Minister’s guidelines. First, the contest period in Russia was very brief, only one month, from July 1-August 1, 2011, a period during which many people take summer holidays. No justification was cited for holding the application period for such a short period. The guidelines call for a reasonable period of time for the submission of applications. Secondly, the guidelines state that “the call for applications should be made widely available to the public, in such a manner that it could reasonably be expected to come to the attention of all or most of the potentially suitable candidates.” The Parliamentary Assembly’s 2004 Recommendation No. 1649 calls for the announcement of the competition to be published in specialized literature. Troublingly, the announcement was published in the specialized newspaper “The Newsletter of the Court of Human Rights,” in August 2011, only after the deadline for accepting applications had passed. The announcement was published in the print edition of the national newspaper Rossiiskaya Gazeta but the announcement did not appear in the online edition and many print subscribers received their copies only in mid-August, after the competition had closed. Finally, there are some problems with the constitution of the commission empowered to select candidates. The Ministry of Justice issued a decree establishing a commission to select candidates, but the decree was never officially published and thus formally did not enter into force. The commission also failed to achieve a balanced composition. The commission, comprised of only men, did not achieve the gender balance envisioned by the guidelines. The commission was made up entirely of representatives of the Ministry of Foreign Affairs and the office of the Russian Representative at the European Court. It did not include any representatives from civil society organizations or the office of the Ombudsman. 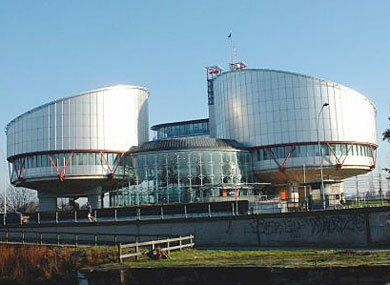 Recalling the Parliamentary Assembly’s caution that “In order for the European Court of Human Rights to continue to inspire confidence, it is vital that the process by which judges are selected and appointed also inspire confidence,” it is clear that the procedure followed in the Russian Federation does not meet the standard. The Parliamentary Assembly has said that in the absence of a real choice among the candidates submitted by a state party to the Convention and in the absence of a fair, transparent and consistent national selection procedure, the Assembly may reject a list. We urge the sub-committee, in the interest of ensuring that all qualified candidates be given an opportunity to apply, and in order to protect confidence in the European Court, to take such a stand now and return the list of applicants to the Russian Federation.